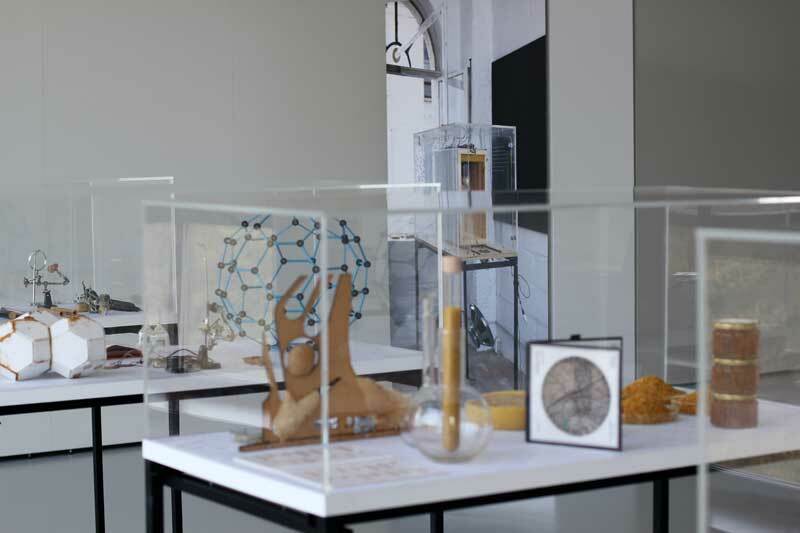 The exhibition Scientific Inquiries is taking place from november 7th, 2013 to december 7th 2013. 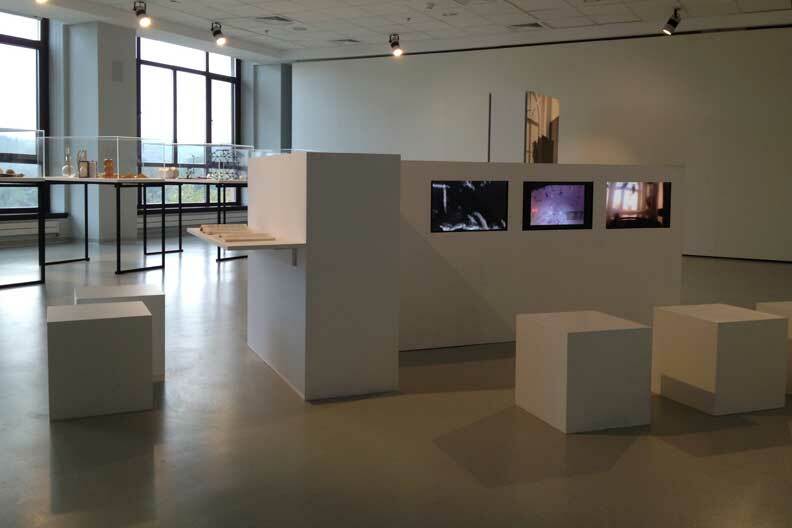 The event is curated by Basak Senova on the occasion of the 20th anniversary of Koç University Istanbul. 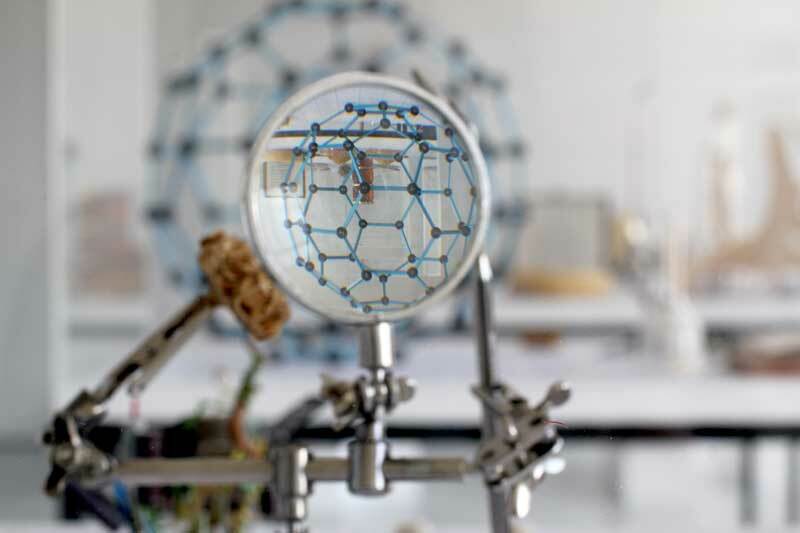 The works on show all focus on art/science collaborations. 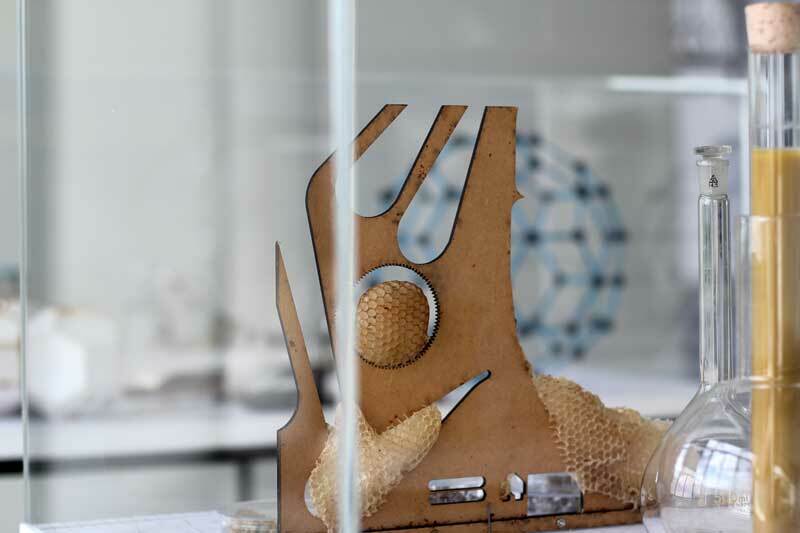 AnneMarie Maes is presenting the Transparent Beehive Cabinet, an account of a year-long observation of and working with honeybees in several mobile laboratories in the city. 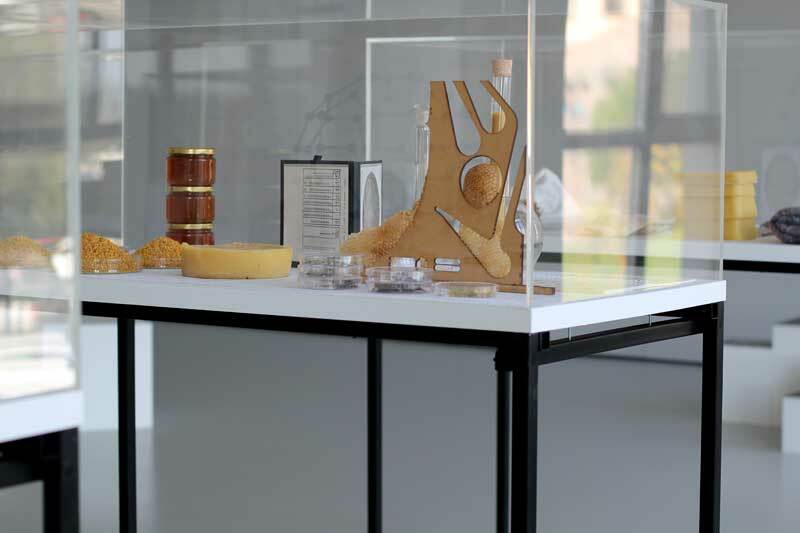 During the course of the preparations, invitations were sent to 6 Koç scientists to contribute with text, commentary, notes, or objects from their personal position. 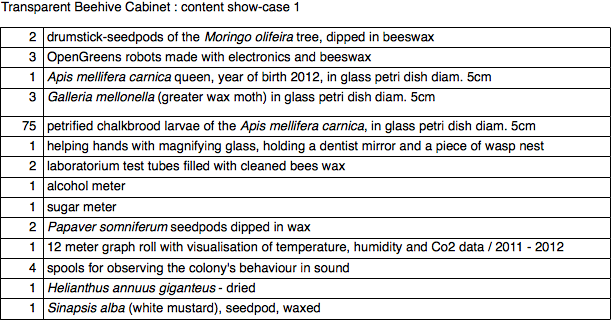 Many different scientific disciplines touch on bees, most obviously biology and ecology. 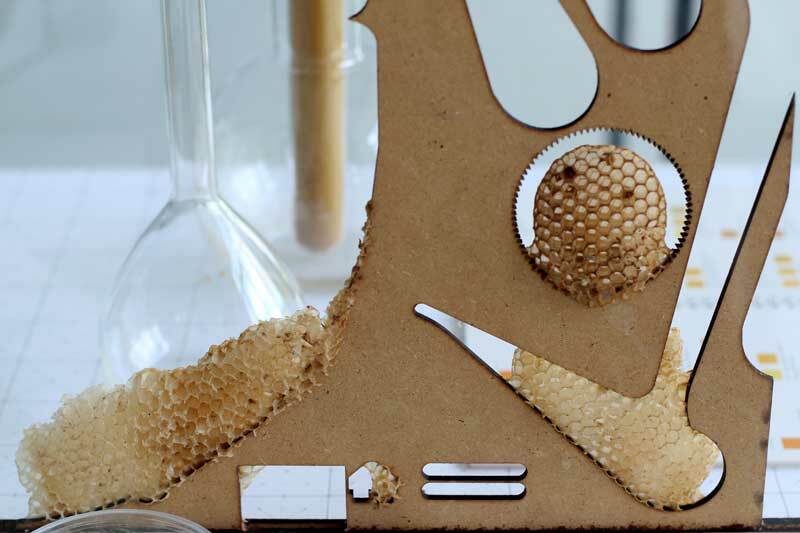 But there is also sociology because it helps us think in novel ways about social networks, self-organisation and distributed intelligence, complex systems science, because bee colonies behave like a complex adaptive system that can be studied using techniques from statistical physics, and economy because bees have enormous value as pollinators. 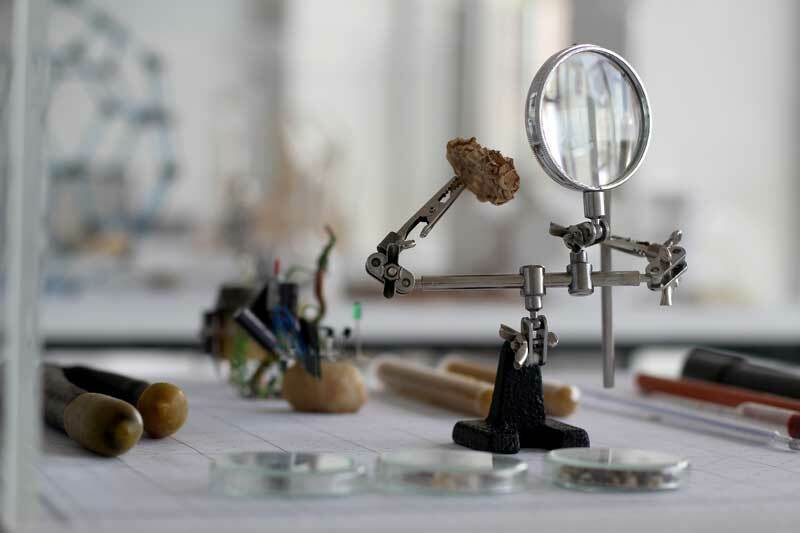 There are also fascinating connections with art history and archeology. 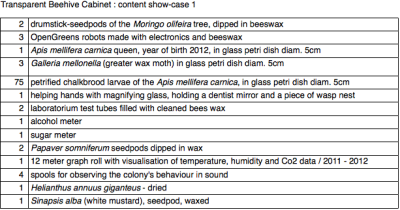 The Bee-Queen culture was already important in the Anatolian Neolithic settlement of Catal Huyuk. 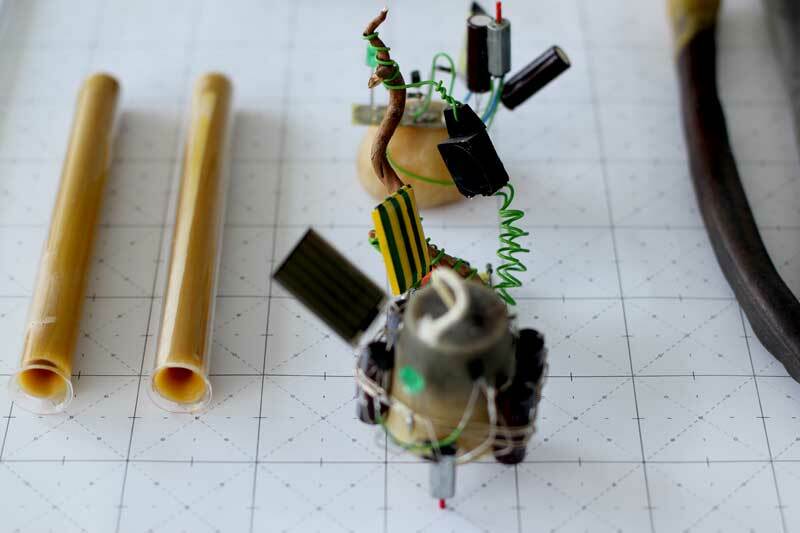 Finally, electronical and mechanical engineering researchers find inspiration for building new types of robots or robot behaviors. 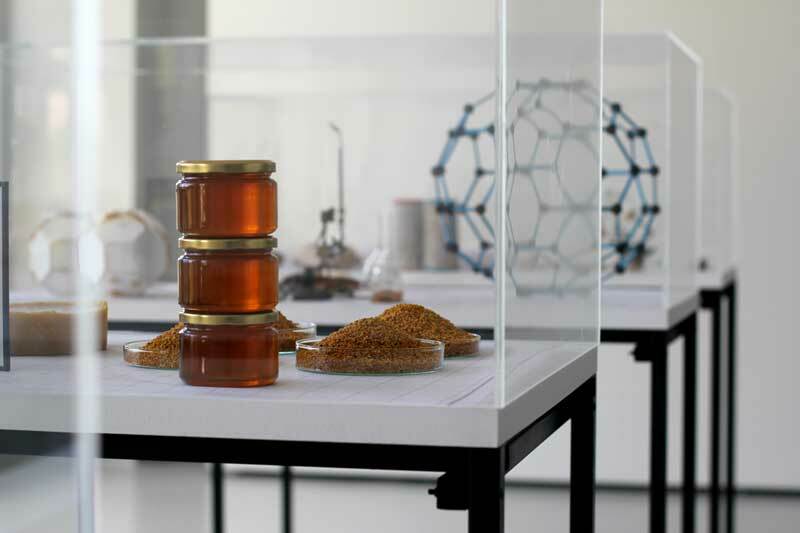 The Transparent Beehive Cabinet in Istanbul is a reconstruction of the research process in Brussels. 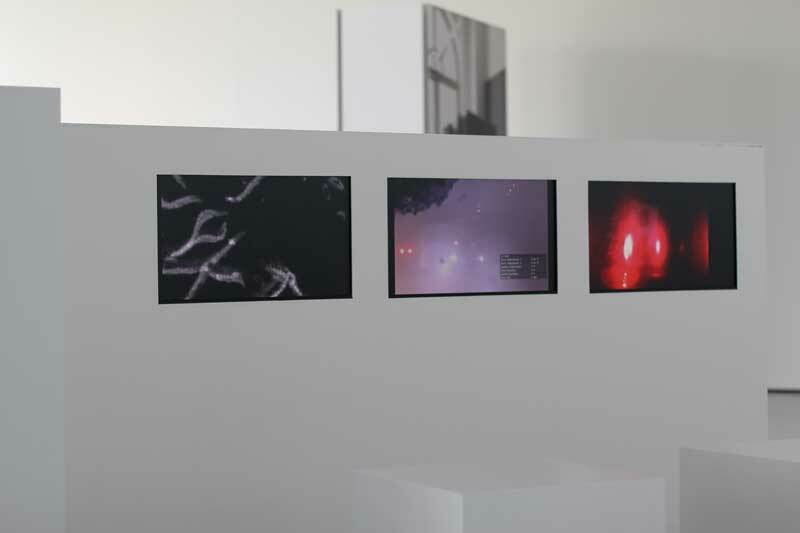 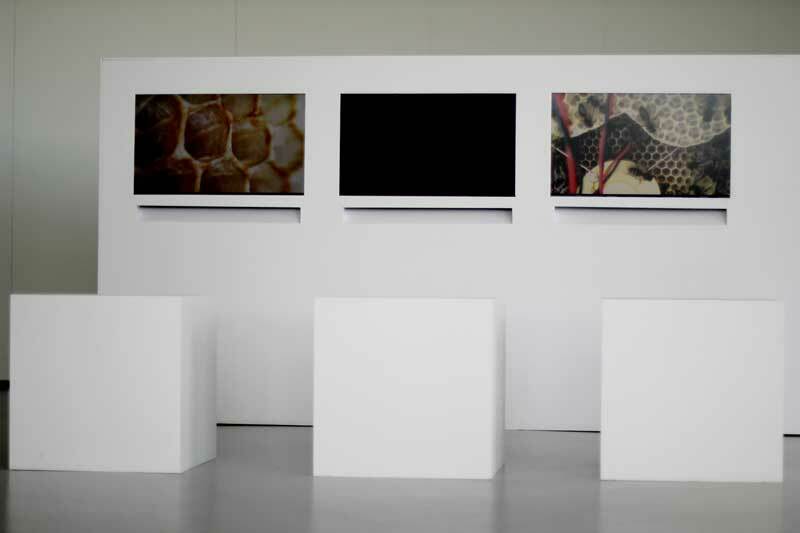 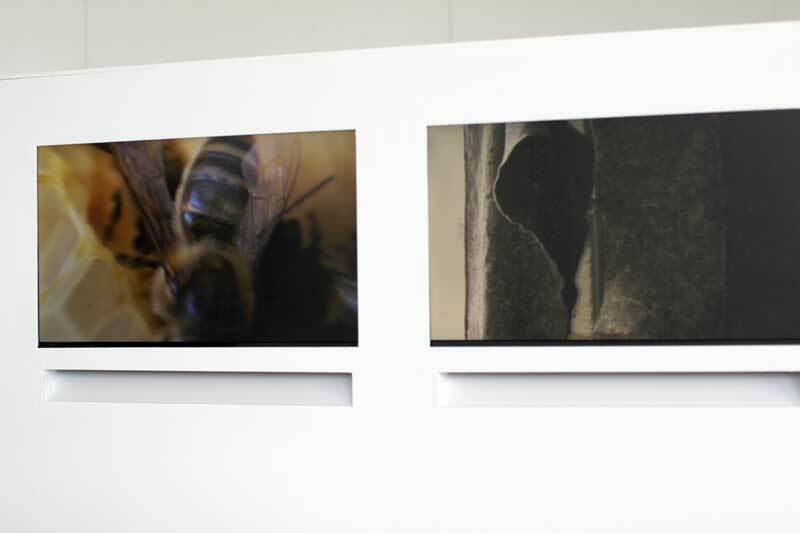 The life in the hive and the interaction with the ecosystem are recreated for the time slice April 2012 – June 2013, with data, sound and images. 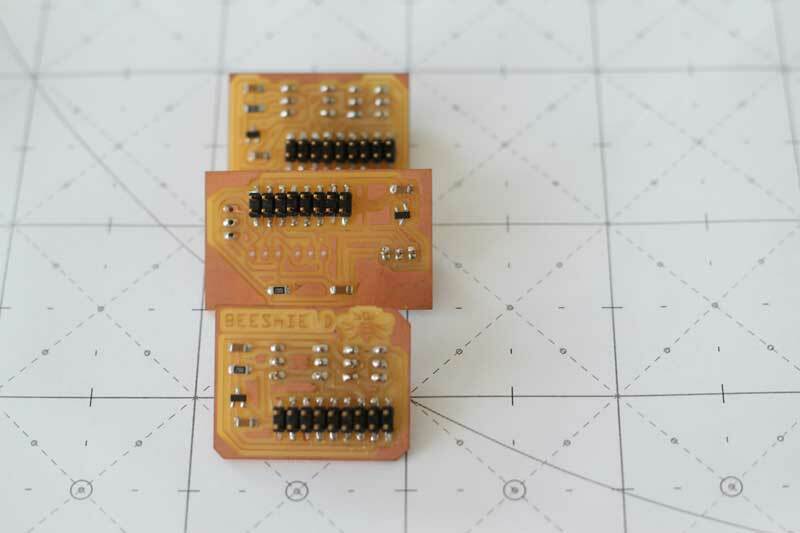 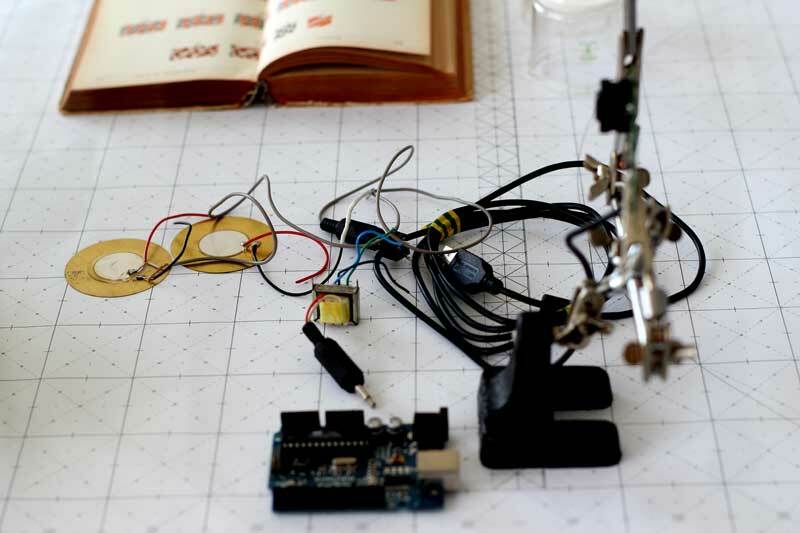 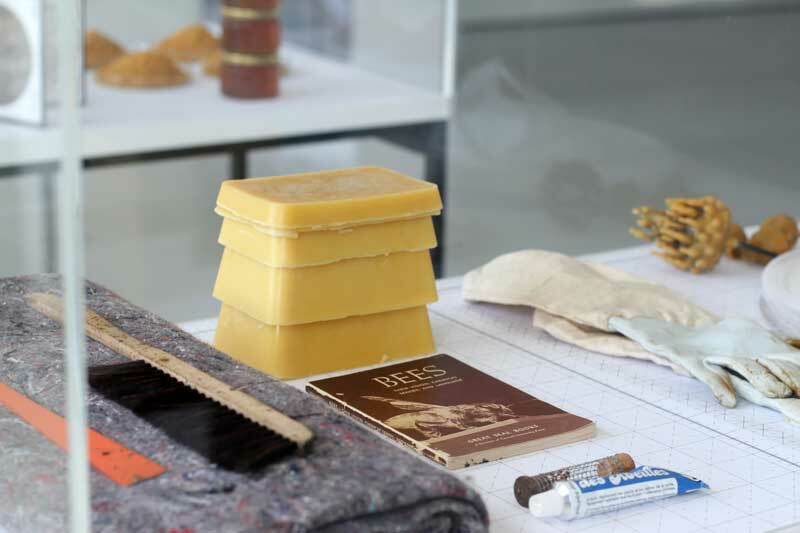 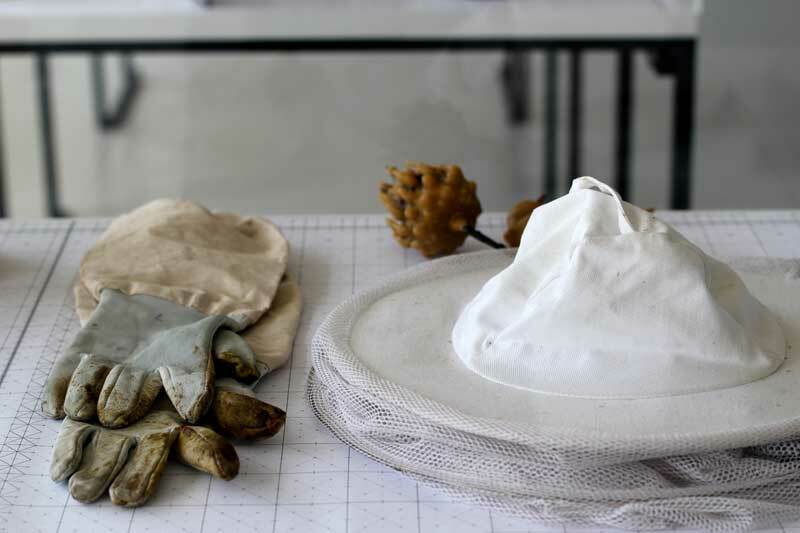 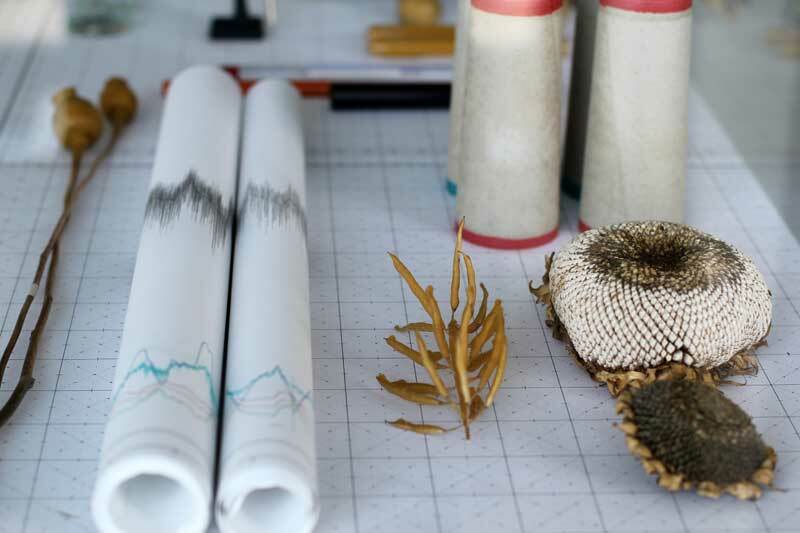 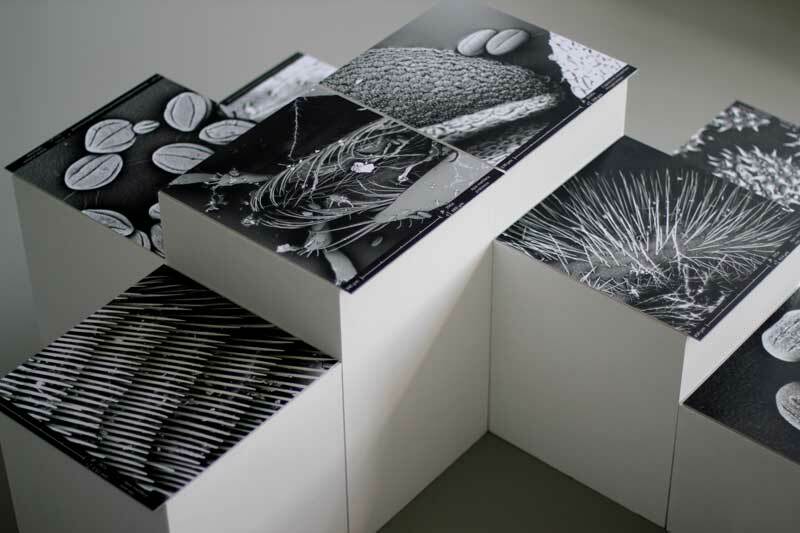 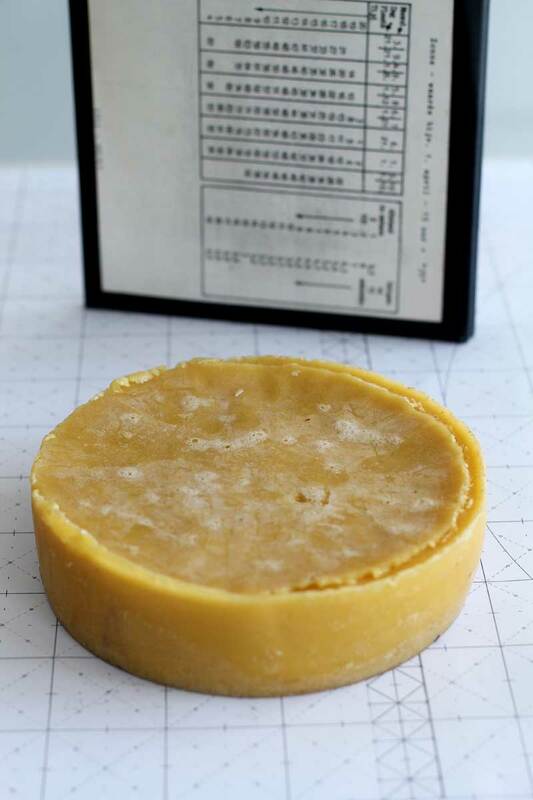 Additional materials include everyday objects from working with the bees and from the project’s archive. 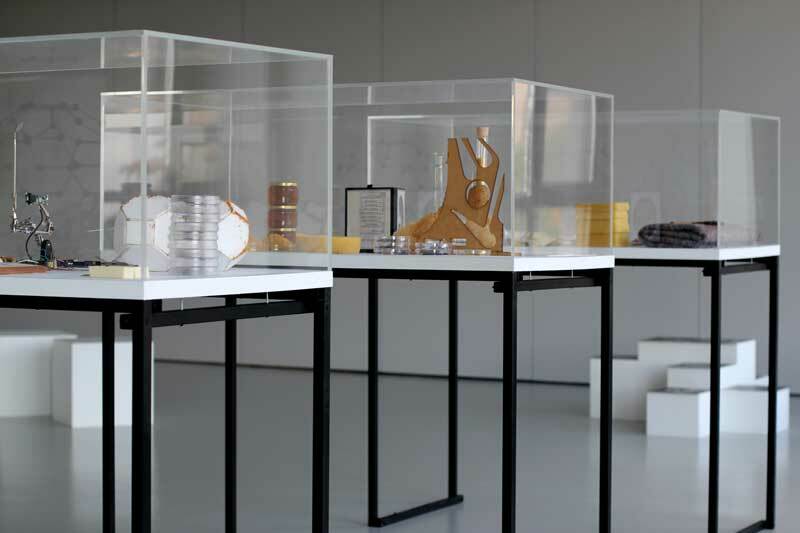 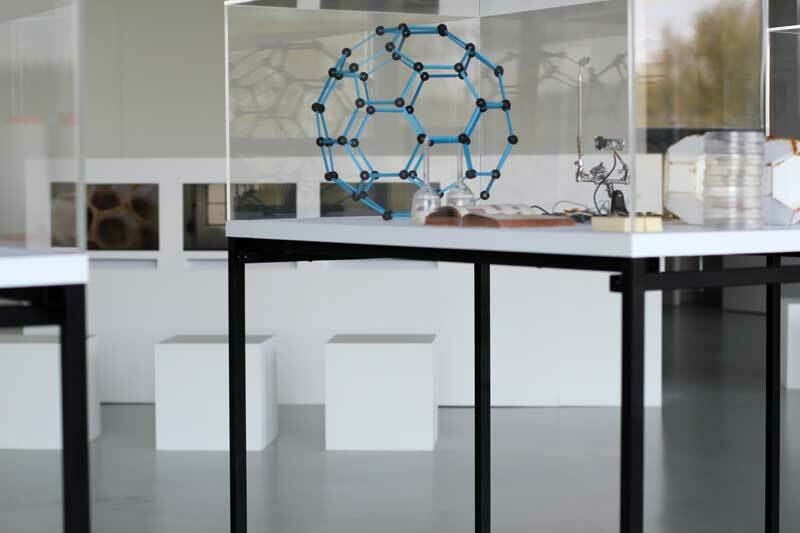 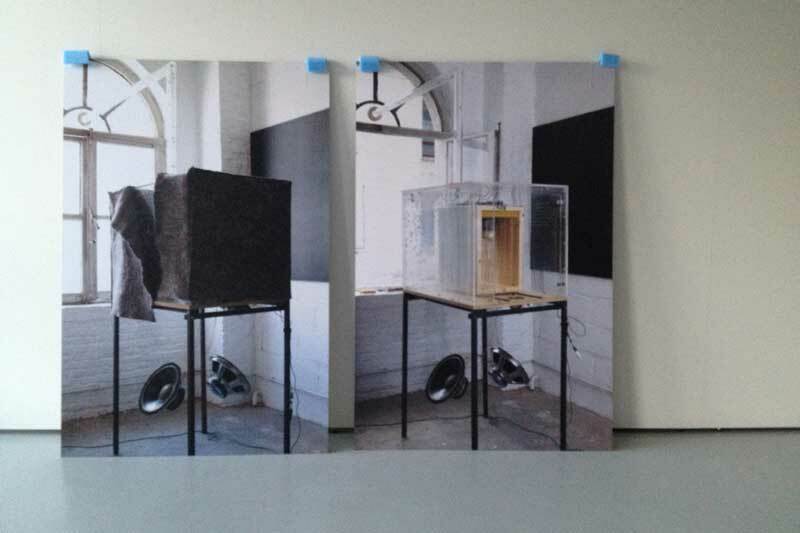 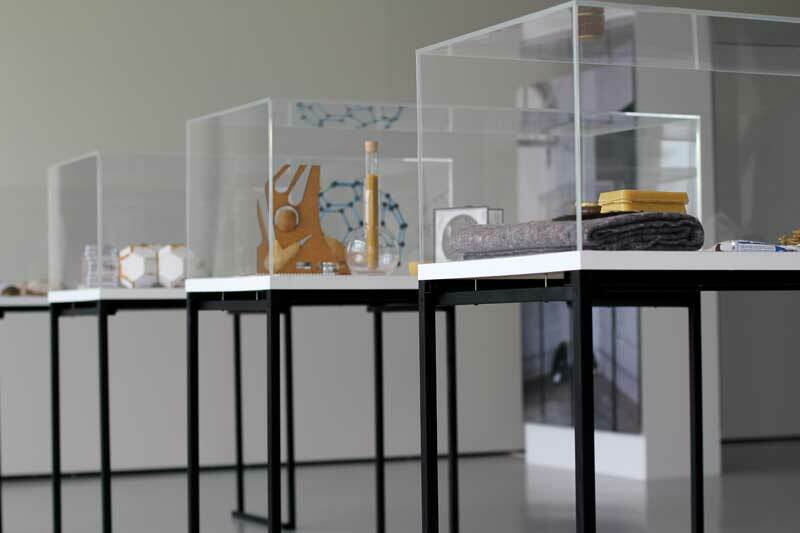 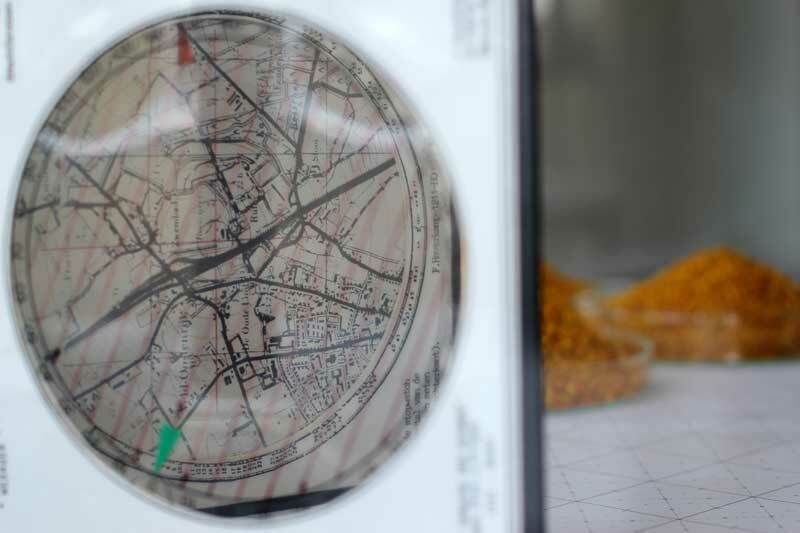 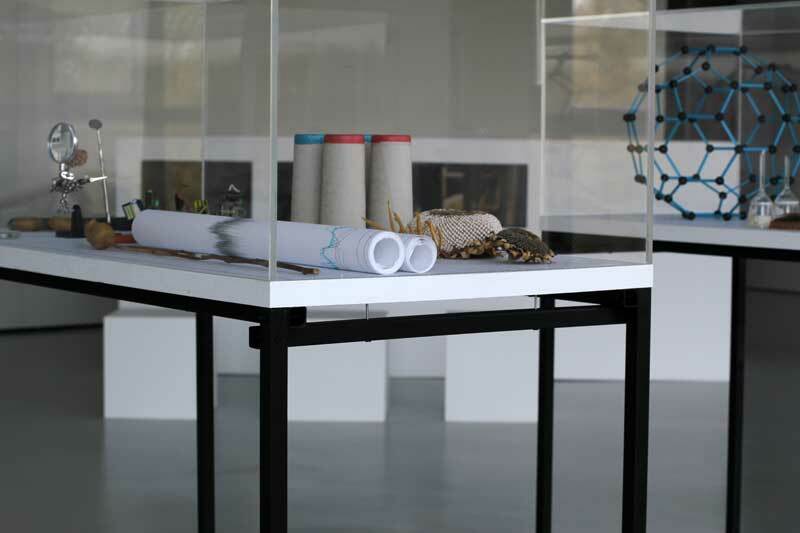 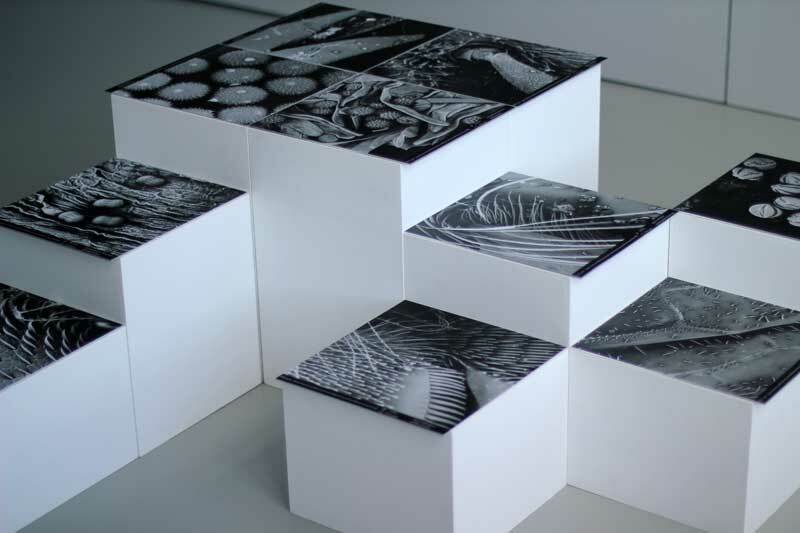 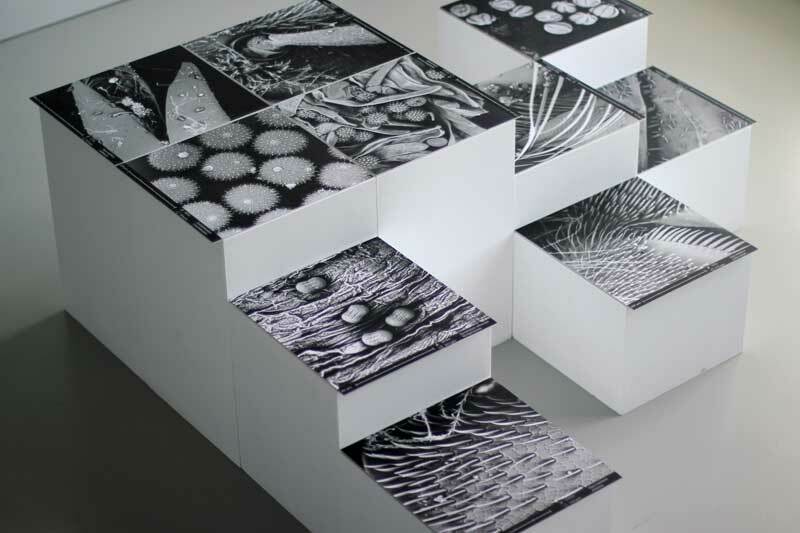 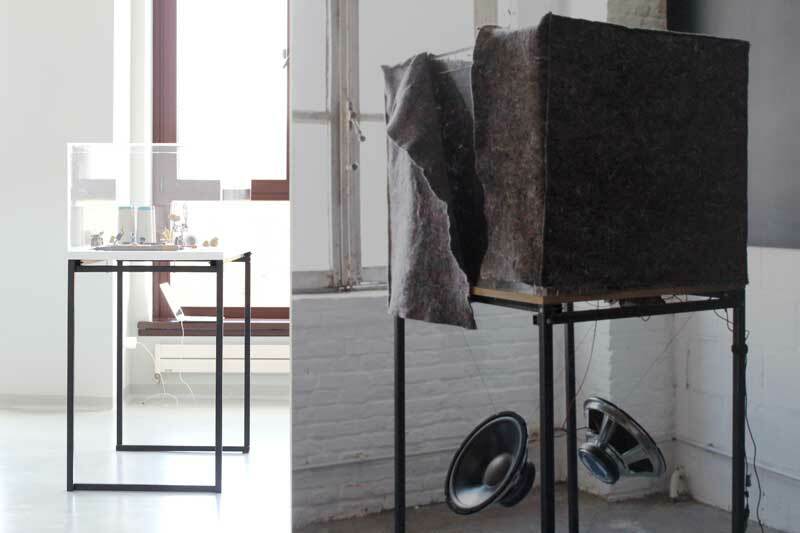 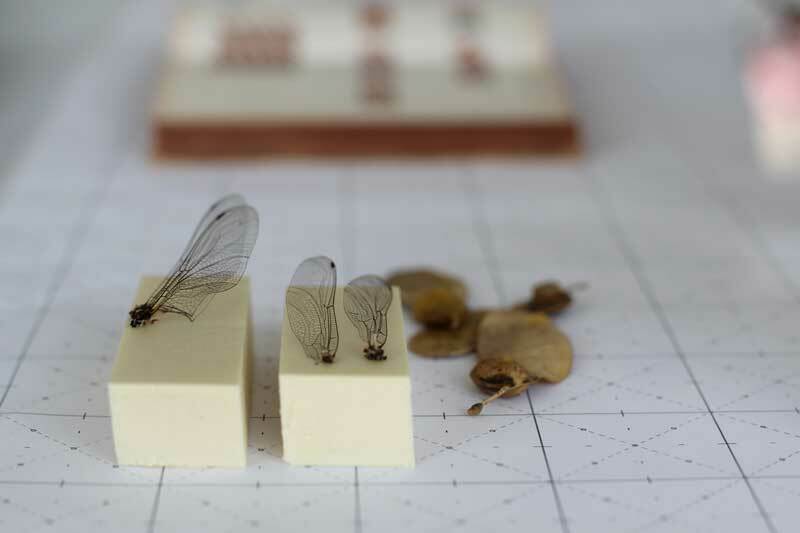 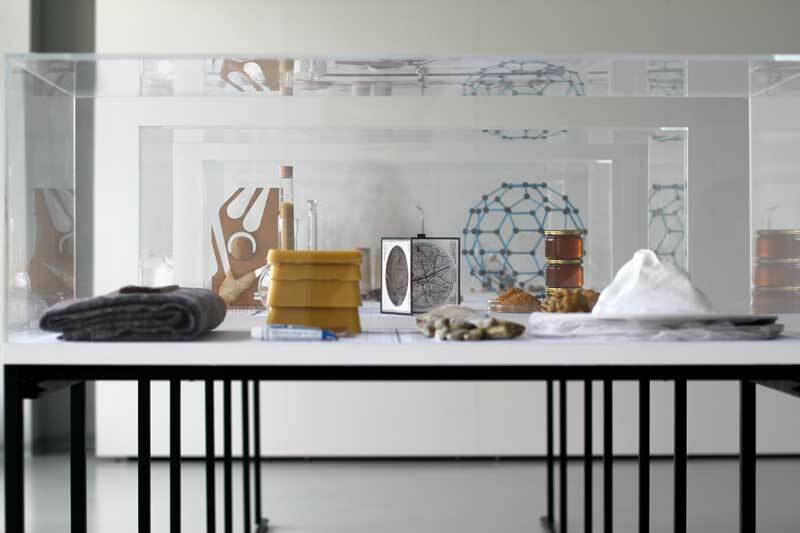 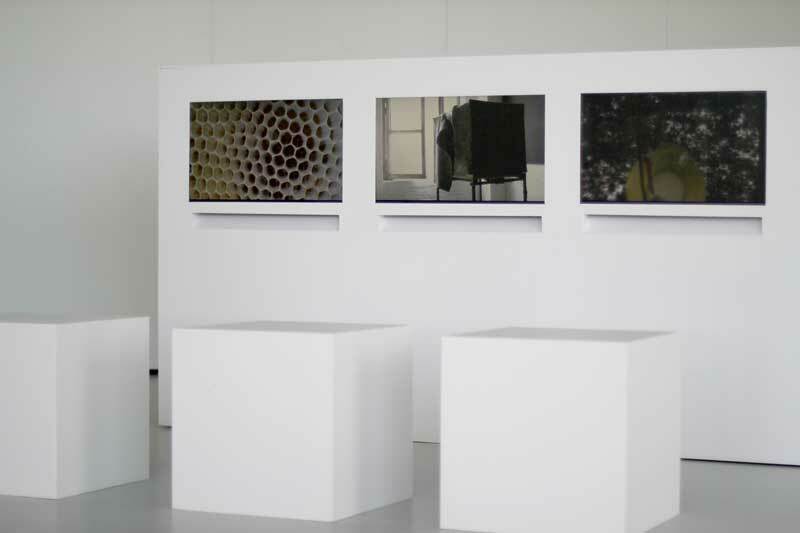 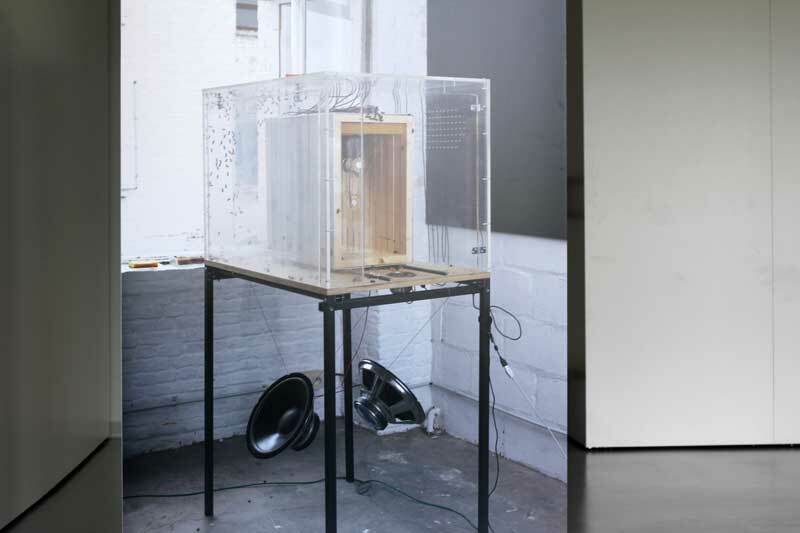 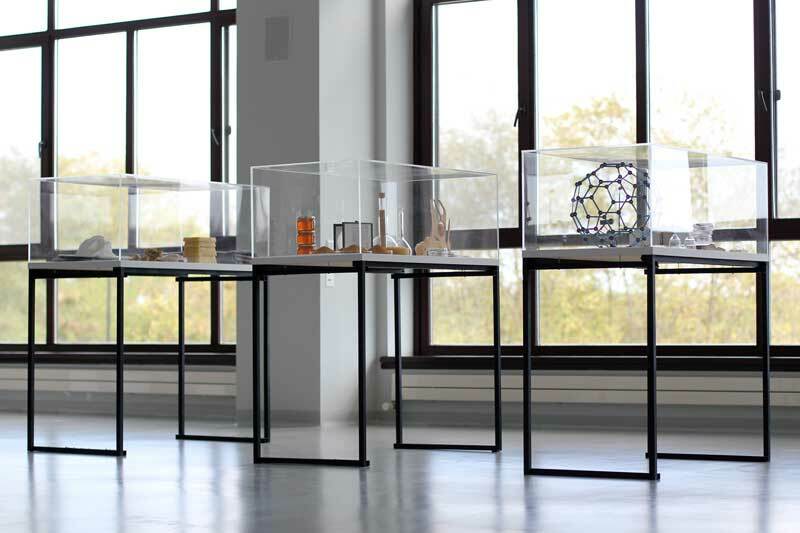 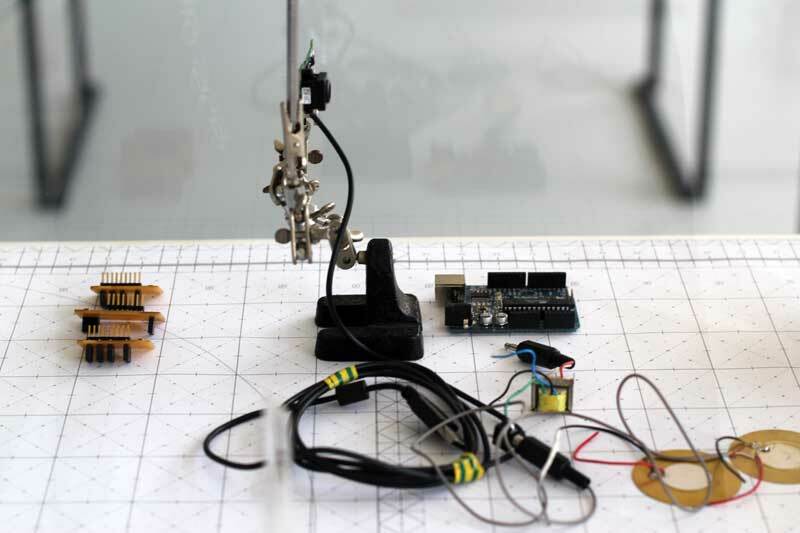 In AnneMarie Maes’ project ‘the Transparent Beehive Cabinet’ the outside has crept into the exhibition space and in a laboratory-like setup the findings of a long research process are presented as under a microscope.